Fulda Gap may be just a peaceful landscape of rolling hills today, but for over 40 years, during the height of the Cold War, this place was said to be the potential battleground for World War lll. “We are standing here at the hottest spot of German history, of European history,” Ricarda Steinbach, director of the Point Alpha memorial, told Euronews. 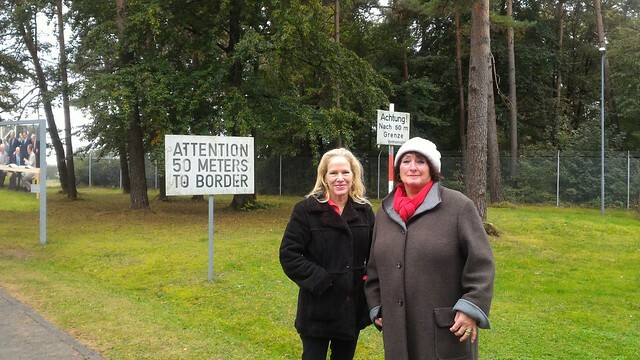 “NATO and Warsaw pact troops were looking at each other only two meters apart, here at this point,” added Steinbach. The fear was that Soviet troops would invade Western Germany and US-led NATO troops, numbering some 400,000 would retaliate . And the bigger fear: that nuclear weapons would be used – devastating not only Germany but all of Western Europe. This of course never happened. But almost 27 years after the collapse of the Iron Curtain, this memorial serves as a reminder of the American presence once here and the gratefulness felt by many for a US military ready to defend Europe. 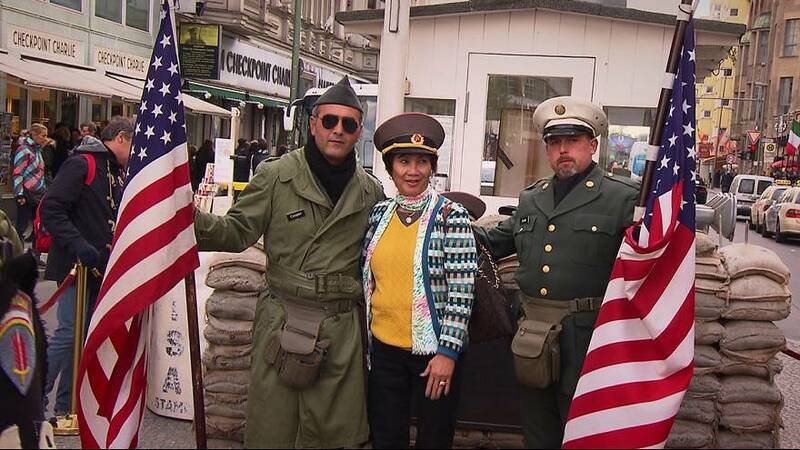 Renate Stieber worked as a public affairs officer with the US troops for 24 years. During that time, she would come here almost on a daily basis. But with the world’s eyes glued on Donald Trump, sleeping well at night could get a bit harder. Trump has made it no secret that when it comes to security, Europe needs to do more. For Trump, it’s payback time. Payback for all the years the United States sheltered Europe during the Cold War. He has stated the fact that only 4 out of NATO’s 28 members pay the required 2 percent of their GDP in defence. But how do his European allies feel about this? And about him? Judy Dempsey is an Irish journalist from the Senior Associate Carnegie Europe. She has been covering NATO and European security and foreign policy issues both during and after the Cold War. “Trump’s comments that NATO allies, Europeans in particular, have to pay their fair share, that’s true,” Dempsey told Euronews. “But frankly it’s nothing new. “Successive American administrations have said the same thing. And actually since the Russian invasion of Crimea, and in Eastern Ukraine, the Europeans are improving a little. “As for NATO being obsolete, well what would the Americans do with their coalitions of the willing, like-minded allies? What would they do with the NATO alliance that sees the threats and challenges facing not only the United States but Europe as well. But despite the praise for NATO and its allies, she has given less concrete details than Trump on its future. After World War Two, the US Marshall Fund poured billions of dollars to help rebuild Europe and to solidify the Transatlantic alliance. The Marshall Fund still exists today. Sudha David-Wilp is its deputy director in Berlin. “I don’t know about damage,” David-Wilp, Deputy Director, US German Marshall Fund, told Euronews. “Trump has expressed extreme views and people are aware of that. “But there is an acknowledgment that if Hilary Clinton becomes president, she will also expect a certain change in course when it comes to Europeans putting in more of a financial support behind collective security in NATO, taking on more of a responsibility when it comes to dealing with global challenges. There’s little doubt that on both sides of the Atlantic, NATO’s raison d’etre is not what it was when Europe was divided. But for some Europeans, regardless of who will be the next US president, the “ties that bind” will always be there. “I will always stand up for the Americans,” Renate Stieber said. “Always. You can ask any politician here. As soon as the word American is said, I get a little bit aggressive, I defend them.